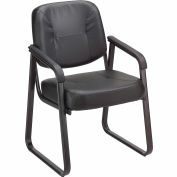 This Mesh Back Task Chair with a fabric upholstered seat is perfect for offices, conference rooms, seminars and more. 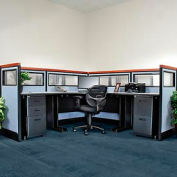 Ergonomic design with nylon mesh back conforms to body for cool, ventilated and supportive comfort. 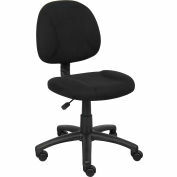 16-1/2"H x 17-3/4"W plastic trim backrest ensures long lasting durability and built-in lumbar support provides added back comfort. Ratchet back height adjustment allows easy back rest height adjustment. 18-1/2" square fabric upholstered seat has comfortable 3-3/4" thick cushioning is covered in long lasting, durable acrylic fabric upholstery for an attractive look. Waterfall contoured seat helps to reduce stress on knees and helps ensure proper circulation. 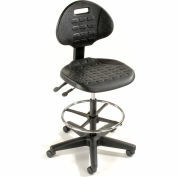 Contoured back provides lumbar support and encourages proper posture. 18" - 23" seat height adjustment. 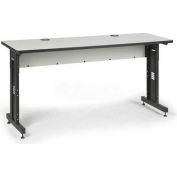 Height adjustable T-arms align arms and wrists correctly for data entry work. Arms also adjust side to side. Polypropylene five-blade base with 2" dual-wheel carpet casters provide easy mobility. Easy assembly. 1 Year Limited Warranty. If you are looking for a long term daily use chair, you might want to spend a little more and get a better chair. I have 15-20 of these chairs deployed. They range in age of deployment between about 10 months and 2 years. The weak link is the mesh in the chair backs. 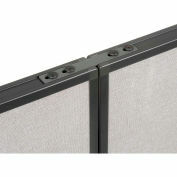 The mesh loses all support and when a person sits back in the chair, their back rests on the hard plastic brace behind the mesh. I have gotten multiple complaints about back pain and discomfort. Every one of these chairs I have deployed has this issue, even the ones that are only 10 months old. 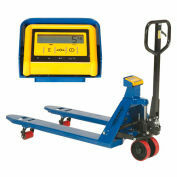 The response I got from Global Industrial was "it doesn't seem to be defective , it could be the weight of the person using the chair or the way the person is seating in it/ leaning back in , it really just depends . But in any case this is out of our 30 day return policy". Ironically, I never actually asked to return them, my initial inquiry was to see if I could get replacement backs, which I figured I would have to buy. 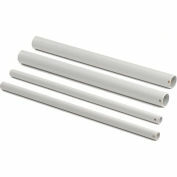 Your review: We got 6 of them and love them. Your review: This chair is durable and withstands daily use in a 24/7 environment. Your review: This chair provides support and durability. Your review: I have purchased these chairs on two occasions. We were in need of a number of chairs for a newly remodeled conference room. My budget was tight and needed a good value. I purchased these thinking they would work for the time-being. They were easy to assemble and were comfortable. I recently needed to purchase additional chairs and selected this same model. They hold up well, I can't tell which are the original and which are the recent purchase. 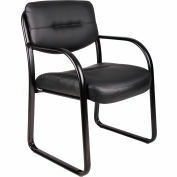 Your review: We use this chair in our training area, it is the perfect size for smaller areas. We have two side by side on one desk and have plenty of room to move around. Your review: The chair withstands 24/7 use on a production floor. Your review: This is a comfortable, light weight chair. 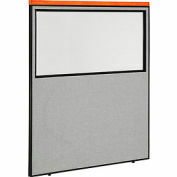 Great for the office and easy to assemble as well. Highly recommended! Great chair at a reasonable price! Great service. Your review: Delivered in a few days. Your review: Great customer service. Chair arrived in 2 days regular shipping. Assembly was easy. For the price, you can't go wrong. Your review: Chairs were easy to assemble and are sturdy. 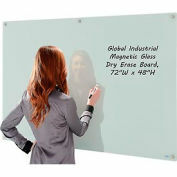 Your review: We have started ordering these for our company and find them to be cost effective and comfortable. I have not had complaints about them and they seem to have held up in the last couple of years. Your review: this was great. when I buy on line, I always have to worry about receiving something "not quite" what I ordered. This was exactly what I wanted, low cost, and delivered on time. Assembly was very easy too. 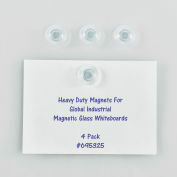 Your review: Have only had these a few weeks but as of now they are of good quality for the price. Your review: Good price and quality Like the fact that they can be adjusted to several heights...previous chairs I've owned did not raise high enough. Your review: Bought three of these chairs for the office and everybody seems to be happy with them. Your review: Perfect. Just what I wanted and on time. 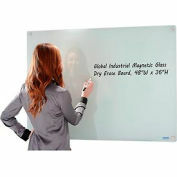 There are 54 questions and 3 answers for this product. 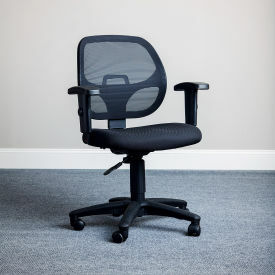 What is the minimum arm rest height for this chair? 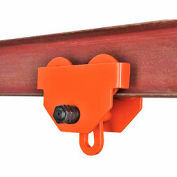 "At the seat's lowest height (which is 18"" from the floor), the arms lowest height will be about 25"" from the floor. " Does this chair com in tan. dark blue, and grey? 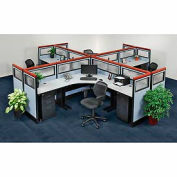 "it is not available in other colors see links below for blue mesh chairs http://www.globalindustrial.com/c/office/chairs/mesh?p=category1_id%3D1F~category2_id%3D1F1E~attr_colorfinish%3DNavy "